Spoil friends or family with a gift voucher from Sarah Elizabeth! Decide the value of your gift voucher. Choose how you would like the voucher presented. The paper voucher is a beautiful card with envelope which is delivered to your allocated address. Only paper gift voucher orders over R500 qualify for free delivery via courier. The e-voucher will be sent to your email address. Vouchers are so easy and make the perfect gifts. 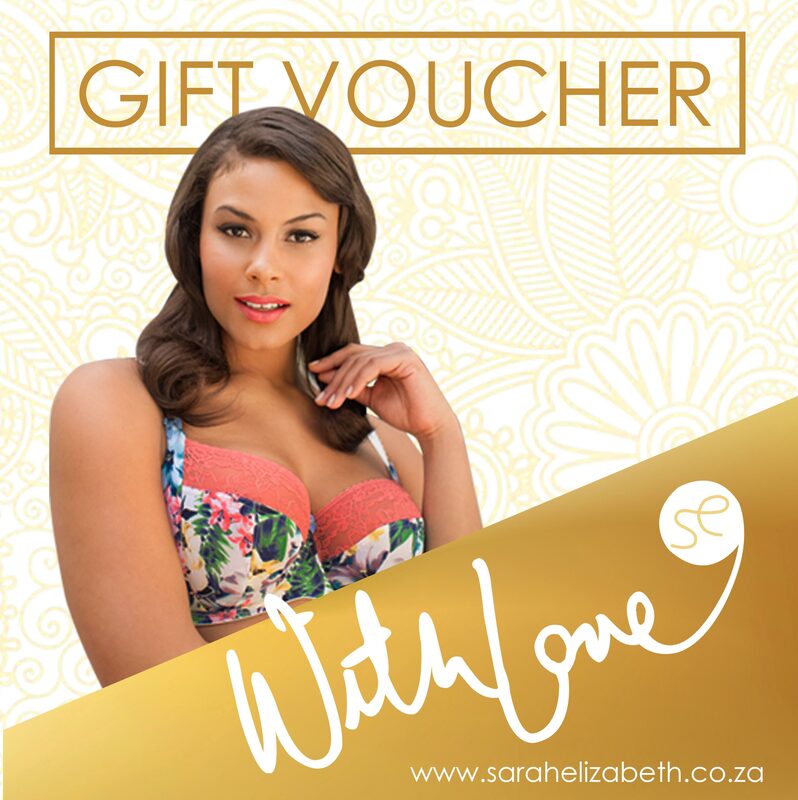 To redeem a gift voucher, simply enter your voucher code in the coupon section when checking out. Please add your personalised message under the order notes/ comments section when you check out. This is on the same page where you enter your billing address. Earn up to 2000 Points. Gift vouchers make wonderful gifts for friends and family. Also see our sleepwear ranges for great gift options.